South African beauty with evergreen leaves and showy Iris-like flowers, profusely produced in Spring and Summer. Dietes is a genus of rhizomatous perennial plants native to South Africa. This species is evergreen, easy to grow and blooms during many months, in spring and summer. It has flat, distichously arranged, leaves and produces white flowers spotted in purple and yellow. 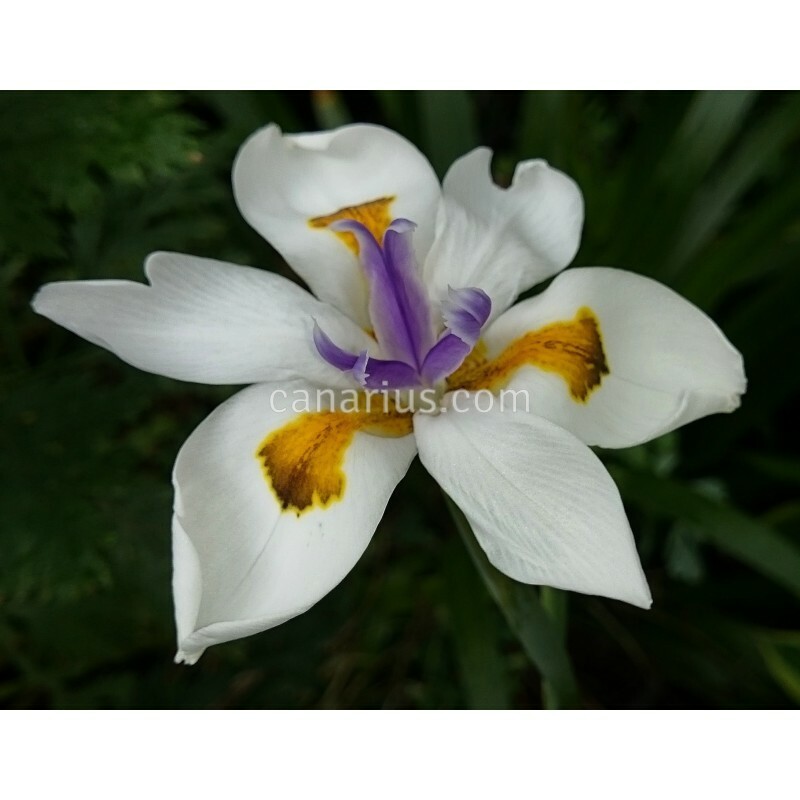 Dietes grandiflora grows well in full sun or partial shade, and in most types of soils. It can be used as an isolated individual or group, it is ideal for edges of ponds and wetlands garden.